Exploring historic Howard Street is a priority for many visitors to Ocracoke Island. The rustic, unpaved lane of crushed shell and sand beckons travelers away from the paved road, enticing them to slow down, pay attention and experience island history, heritage and handcrafts. 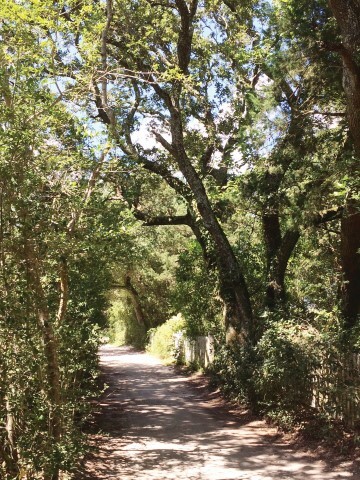 Although Howard Street can be enjoyed from a car, golf cart or bike, many people prefer to explore the lane on foot, the best way to get a little closer to the ancient live oaks, family cemeteries and historic homes surrounded by time-worn and moss-encrusted fences. Newer houses blend with the old to create scenes that are intensely comforting, nostalgic and distinctly Southern. After dark, the quiet lane can even be a bit spooky as the shadows begin to lengthen. A stroll down the lane is a rare chance to listen, look and wander. It might be an opportunity to chat with an islander or admire a neighbor’s verdant fig tree (please admire, but do not pick, the tasty figs!). Depending on the season, you might catch a whiff of the star jasmine vines covering sections of fences, overwhelming you with an enduring sensory blast, even if the memory will never smell quite as sweet. 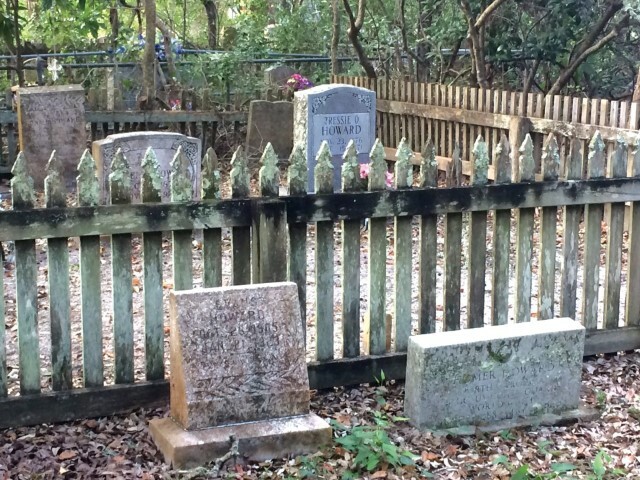 Numerous small family cemeteries line the roadway, most of them carefully tended and groomed, a few overgrown with myrtles and yaupons. For many frequent visitors, Howard Street is so beloved that the mere mention of the name can slow the heartbeat and calm the soul. The cozy houses along Howard Street are nestled in close. Built throughout the course of 200 years (the oldest date from the early 19th century), the styles of homes differ somewhat, but several are versions of the distinctive story and a jump design that was popular from before the Civil War until the mid-20th century. Philip’s grandparents raised 13 children in their 1865 cottage just off Howard Street. With white clapboard siding, crimson trim, a pizer and a wooden swing that hangs from the porch rafters, the house has been the center of Howard family life for several generations. That is how it stands today, with Philip as resident and caretaker. Philip’s fondness for these family tales and ghost stories inspired him to start offering guided Ghost & History Walking Tours along Howard Street and throughout the village. Philip and other Howard family members lead the tours, which are scheduled regularly in-season and offered to groups in the off-season with advanced planning. 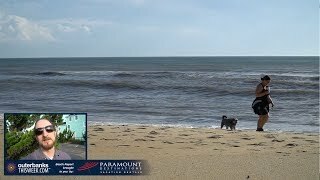 Philip is also an author of two books of Ocracoke Island stories, Digging up Uncle Evans: History, Ghost Tales, and Stories from Ocracoke Island and Howard Street Hauntings, and he writes a newsletter about the island and its history. 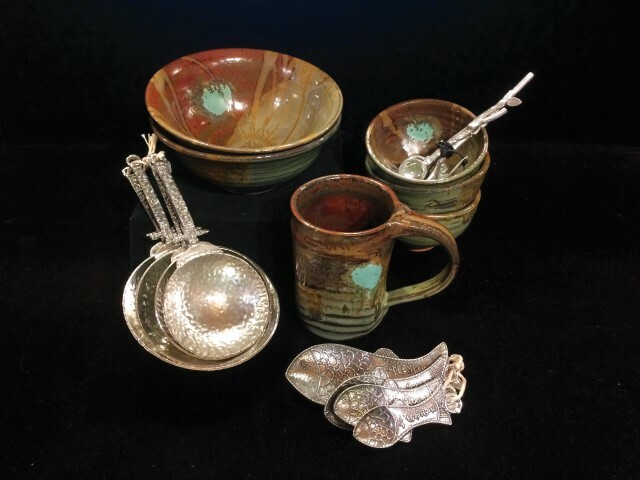 Several hundred yards down Howard Street, visitors will discover the Howard family’s nationally recognized craft gallery, Village Craftsmen, situated among fragrant cedars and Southern live oaks. Philip established the business in 1970, and it has grown from modest beginnings to a showcase for more than 150 talented artists, including many whose ties to the island span decades. Like Howard Street, Village Craftsmen reflects the tranquil ambiance of Ocracoke Island. The Howard Street shop features an extensive selection of fine quality American-made handcrafts, including earth-toned and ocean-hued pottery, carefully curated sterling silver jewelry, hand-hewn wooden utensils, a whimsical collection of bronze bells, stained-glass hangings, musical instruments, books (including Philip’s and other local authors’) and so much more. After 49 years, the shop is an Ocracoke icon, a place that lures repeat visitors year after year. Similarly, the Howard family is a fixture on the island, often at the heart of what’s happening on Ocracoke. Ocracoke Preservation Society is restoring the historic center section of the inn, which housed the Odd Fellows Lodge and School. Eventually the building will serve as a visitors center and house public restrooms. The Howard family’s Ghost & History Tours continue to include stories about Mrs. Godfrey’s untimely demise as they approach the former Island Inn on their walks. When you find yourself on Ocracoke Island’s Howard Street, be sure to stop into Village Craftsmen to meet the road’s namesakes, to inquire about the tours and to browse among the finely crafted goods. If it’s a Friday, be sure to check in to see if it is a Fig Cake Friday at Village Craftsmen. That’s when Amy’s husband, Fiddler Dave of the popular island roots band Molasses Creek, makes fig cakes from local figs and shares them with folks at the store. The Howards encourage visitors to learn more about Howard Street and Ocracoke by visiting their website, VillageCraftsmen.com (click on Ocracoke Newsletter or Ocracoke Journal), and by listening to two audio tours on OcracokeNavigator.com, each featuring Howard Street. You can also pick up a copy of the free Ocracoke Eat Shop Play Stay magazine, which includes a walking tour map of Howard Street and other island back roads. This is history worth exploring.